The objective of this work was to bring together in one volume most of the experiences (of 49 authors) and proposals, contrasted and informed about the treatment of forests conducted in Spain, in order to facilitate the efficient searching for information to all stakeholders. 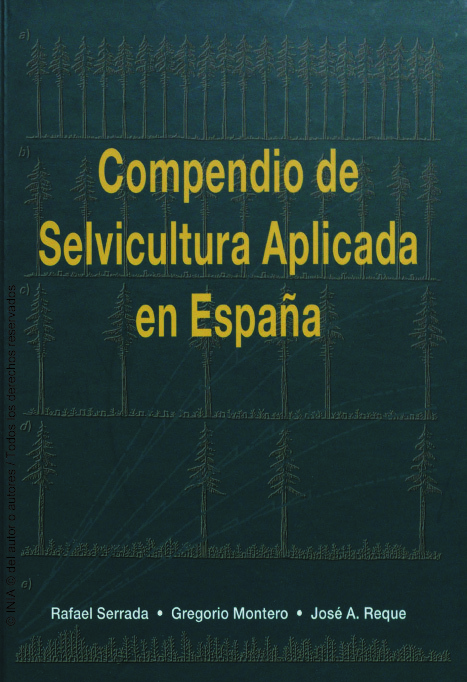 The book consists of various sections of forestry, that is partly Mediterranean, applied to Spanish species; of functional forestry (mycological, rangeland, fruticeticulture, the laurisiva Canarian landscape, fire prevention, climate change, applications to protected natural areas) and the description of the cultural characteristics of major forest species in Spain. It concludes with a glossary of silvicultural terms, translated into English, French and German. Servicio de Publicaciones INIA. Ctra Coruña km 7,5. 28040 MADRID. Contact: distri@inia.es. Tel: 34913471493. This book was added to our online catalog on Wednesday 28 March, 2012.